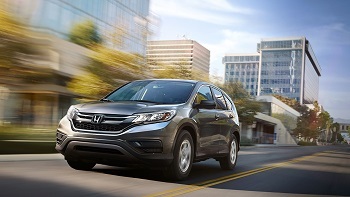 The 2016 Honda CR-V Touring delivers a phenomenal combination of comfort, convenience, and safety technologies to College Place and Kennewick drivers. As the CR-V’s top trim level, the Touring was always going to defy expectations, but we’re still stunned by the level of technology it offers. Here’s a quick overview of what you’ll receive. The 2016 Honda CR-V Touring will strike College Place and Kennewick drivers as something apart from run-of-the-mill crossovers as soon as they slip inside the cabin. Each seat is trimmed in rich, indulgent leather, as is the luxurious steering wheel. The driver has a 10-way power seat with power lumbar support and two-position memory, so you’ll be able to find your perfect configuration — and save two settings for future use. 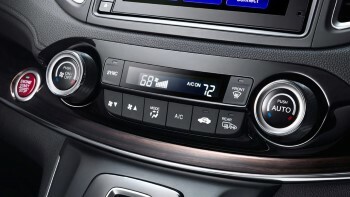 Dual-Zone Automatic Climate Control: Provides both the driver and front-passenger with separate temperature controls. Automatic-Dimming Rearview Mirror: Automatically adjusts its tint when hit with headlights approaching from the rear, protecting your eyes from glare. Heated Front Seats: The Touring trim comes fitted with heated front seats to keep you warm and toasty no matter the weather outside. 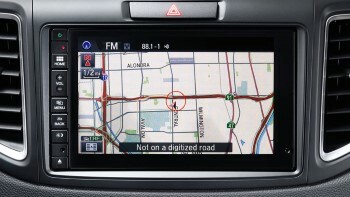 Honda Satellite-Linked Navigation System: Input your destination using either voice commands or the touchscreen, then use turn-by-turn directions to reach your destination and Honda HD Digital Traffic to avoid gridlock. Power Tailgate: Hands full when you need to load up the cargo area? That’s not a problem — the Touring’s liftgate will open at the touch of a button. HomeLink Remote System: The standard HomeLink system can connect to the majority of garage doors, plus a host of other HomeLink systems. Each and every 2016 Honda CR-V trim level boasts astounding peace of mind thanks to a 5-Star Safety Rating from the IIHS. * However, the Touring trim can enhance awareness and prevent or mitigate accidents thanks to the cutting-edge driver-assistance technologies of the Honda Sensing Suite. 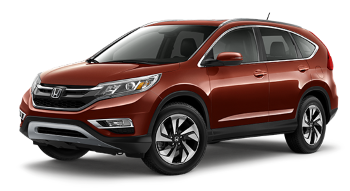 Drivers will find their every need and want catered to with the 2016 Honda CR-V Touring trim. If you’d like to hear more, or arrange a test drive near Kennewick, just visit Walla Walla Valley Honda in College Place, WA. * Government 5-Star Safety Ratings are part of the U.S. Department of Transportation’s New Car Assessment Program (www.safercar.gov). Model tested with standard side airbags.